Pony Tails Candy Company was founded in 1965 as Chincoteague’s only candy superstore. 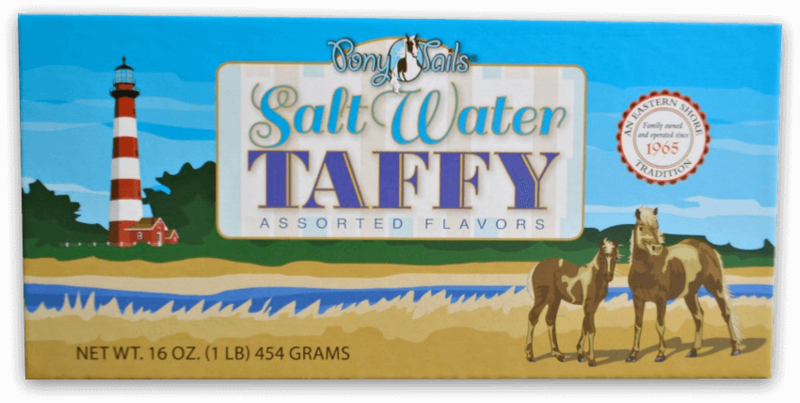 For more than 50 years, we have been providing visitors and locals of Chincoteague Island fresh saltwater taffy, creamery fudge, handmade chocolates, Dolle’s caramel popcorn and a full line of gummies, licorice and novelty candies. Pony Tails is also the Island’s premier destination for gifts, home décor, toys and jewelry. We pride ourselves on being family friendly – there is something for everyone, for every budget at Pony Tails! Still family owned and operated since 1965, we hope you enjoy your visit to our store on “the Island” and on the Internet.